We are a family-owned property, managed by a handpicked team. 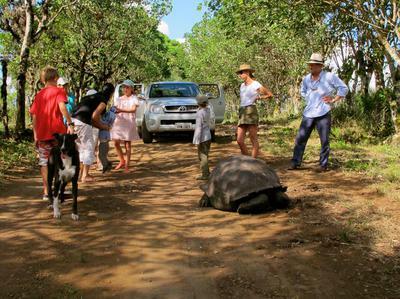 Inspired by the magic of African safari camps, our dare-dreaming founders, Michael and Stephanie Mesdag, have brought the Safari tradition to Galapagos. You will find yourself at the crossroads of exploration, science, and adventure. 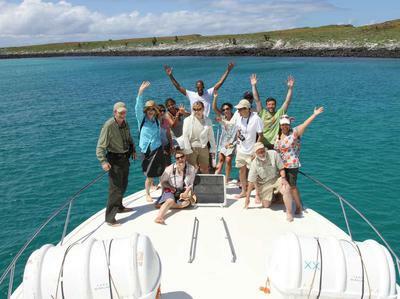 Ours is a space to reawaken your senses, reconnect with nature, and renew your spirit touched by the magic only Galapagos can provide. Our camp is immersed in nature. It is unobtrusive in its architecture, designed with discreet luxury that is unpretentious and familiar. It's the place we call home. We want to share it with you.